The Brend Combat Companion fixed blade knife is elegant and refined. The black DLC finished full-tang blade is S35VN stainless steel with a belly and upswept tip. 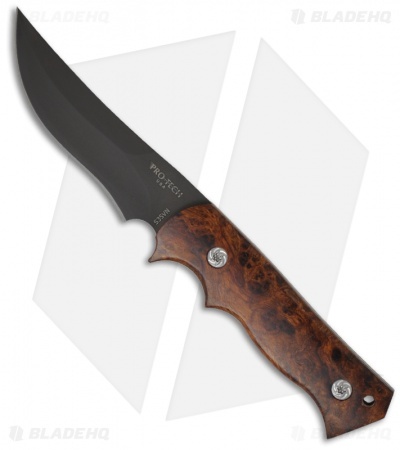 The handle features desert Ironwood scales that are fastened with custom screws. 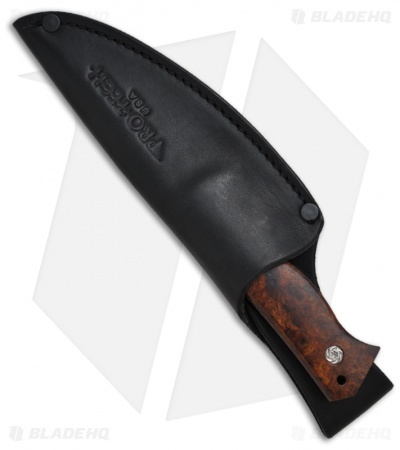 The handle is well-contoured with a small index choil for choking up on the blade. Includes a premium leather sheath with belt loop from GFeller Case Company. This Brend Combat Companion is part of a Limited Edition serial numbered first production run. Only 7 produced!